*It was one of the latest starts in history for a women’s match at the US Open, but the night shift didn’t seem to phase defending US Open champion, Serena Williams. She swiftly dispatched Kazakhstan’s Yaroslava Shvedova in straight sets in just an hour an fourteen minutes. Shvedova had troubled Williams in the past, taking her to three sets at Wimbledon in 2012, with a score of 1-6, 6-2, 5-7, but Serena was just finding her confidence and footing after the infamous disappointing first round loss at Roland Garros just weeks before. But my how things can change in a year … she went on a tear after that, no doubt buoyed by the loss, and took Wimbledon, The US Open, won two Olympic Golds, won several tour titles, finally conquered Roland Garros and now she’s at the US Open defending her title with a 61-4 record from then to now. Shvedova had no answers for Serena 2.0. and tumble out at 6-3, 6-1, being on the receiving end of 6 aces – one at 119 MPH – to boot. The Kazakhstani was the last obstacle standing in the way of a match up between the top two Americans, Serena and Sloane Stephens, and since she’s been removed, it’s game on. The Sloane and Serena rivalry – if you can call it that at this early stage – has been increasingly built up since Serena lost to Sloane at the this year’s Australian Open and after the publicized feud between them. So, the upcoming meeting will likely be one of the highest attended and watched at this year’s US Open. 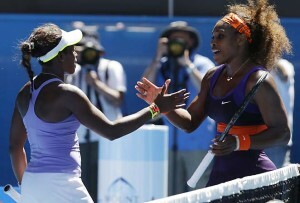 Sloane’s accomplishments in no way compare to Serena’s, who’s name is frequently mentioned in conversations about naming the greatest women’s tennis player ever, but in terms of the changing of the guard and other obvious comparisons make it a as compelling a competition as it’s being viewed. The two will play on Sunday at Arthur Ashe Stadium. 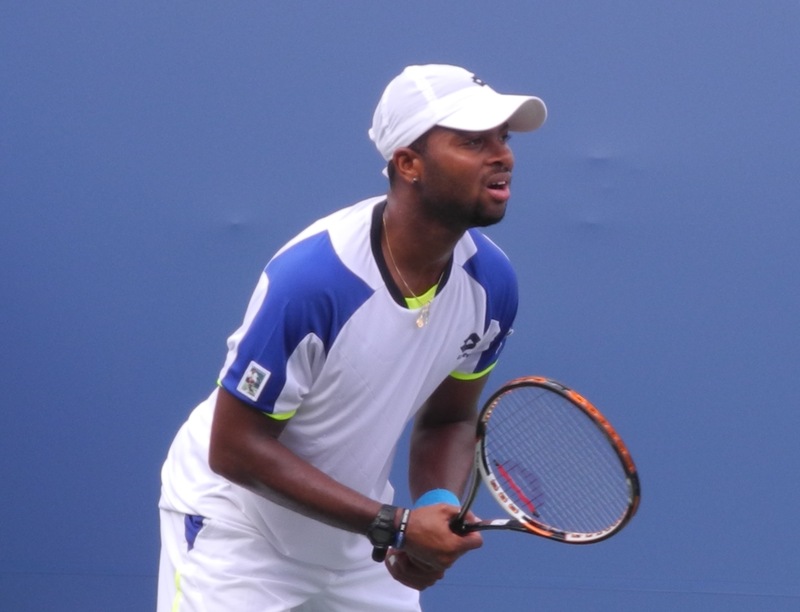 Past juniors phenom, Donald Young, did the work he needed to do on the challenger circuit and made his way through the qualifying rounds of this year’s Open to earn a spot in the main draw. That was a major accomplishment for the Chicago native, as his tennis career has tanked since he made a decent run at the US Open in 2011, reaching the fourth round and even defeating Andy Murray on the run up to the tournament. Since then, his ranking has fallen well below his career high of no. 38, now at no. 507, he had a career besetting public dust up with the USTA and has struggled mightily to find his game. Despite his troubles, Young put in an outstanding performance in the first round of this year’s US Open, decisively defeating Martin Klizan in straight sets, but he couldn’t back up the win against the experienced German, Florian Mayer. He allowed his emotions to get the best of him – which has been part of the blame for his unsteady play – at times during the match, cursing and even spitting toward his box in fury at his mistakes. He lost it, both literally and figuratively, 5-7, 3-6, 4-6, and went on to lose a mixed doubles match with Victoria Duval (who took out Aussie Sam Stosur) later in the day.